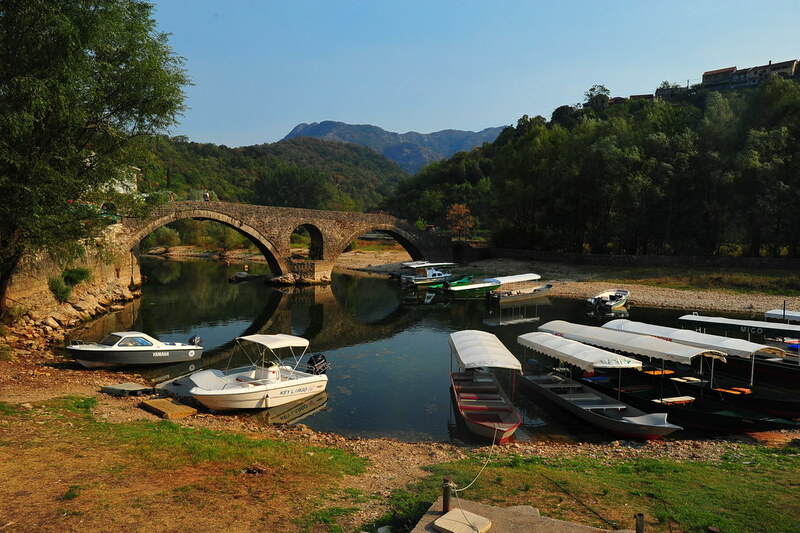 The road from Kotor to Podgorica can take you through all of Montenegro’s history in a day. 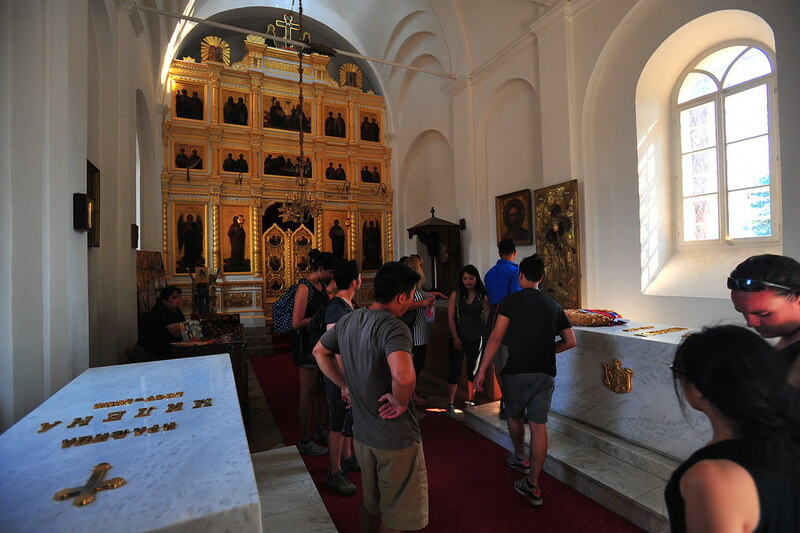 What normally is a 2 hour bus ride, we opted instead for a hostel to hostel transfer arranged by Montenegro Hostel where it would take us to all the historical sights in the country in 5 hours. 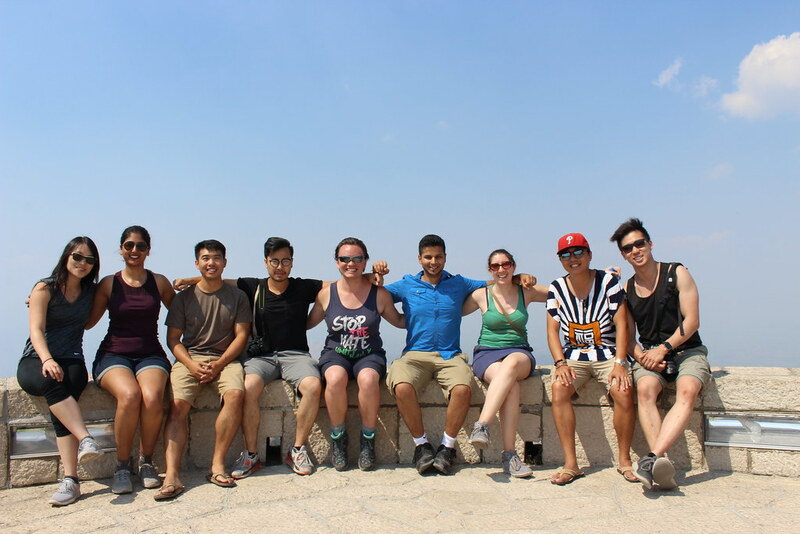 Because Alfred started to feel nauseous and needed time to recover, we pushed back the bus from the original time of 11:30am a half an hour later, leading the bus to almost get driven away by the police given the awful traffic jams around Kotor’s old town. 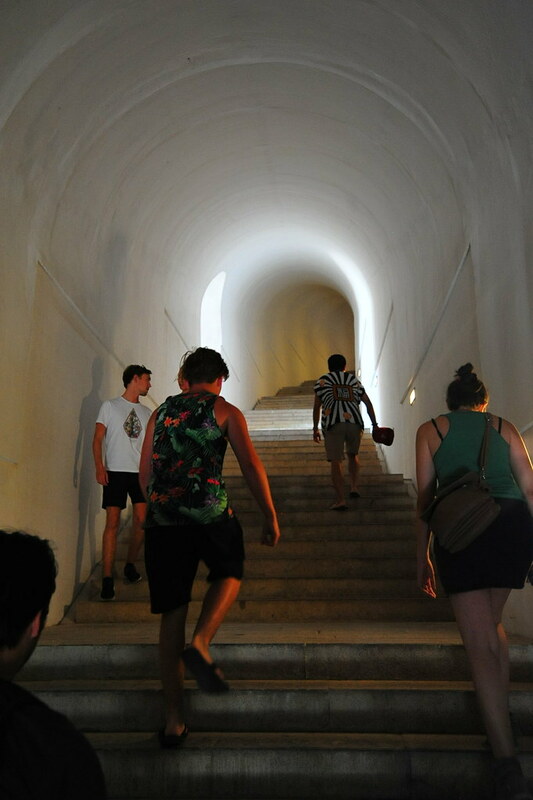 We ended up doing a mad scramble looking for the bus as it was looking for us — while running into people we had partied with back in Dubrovnik — eventually leaving at around 12:30pm. 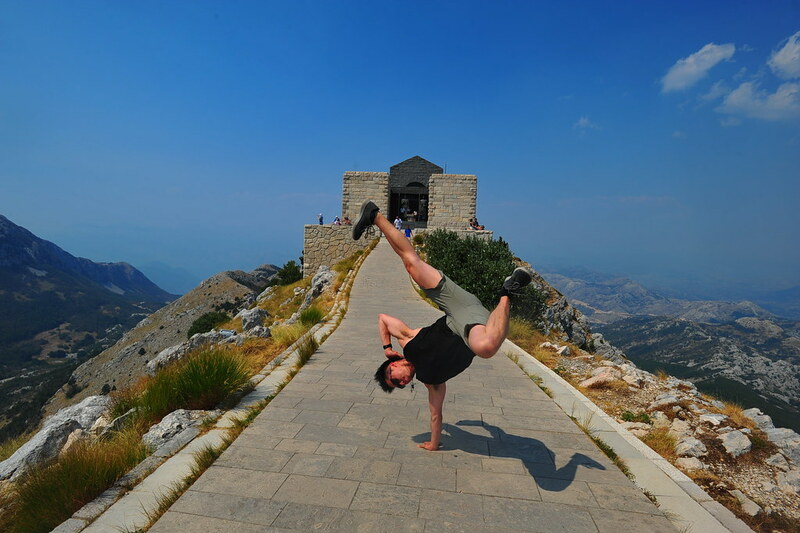 We then pressed onwards into Lovćen National Park where we paid 3 euros to hike up 460 steps to the Mausoleum of Petar II Petrovic-Njegos, 1660m above sea level. 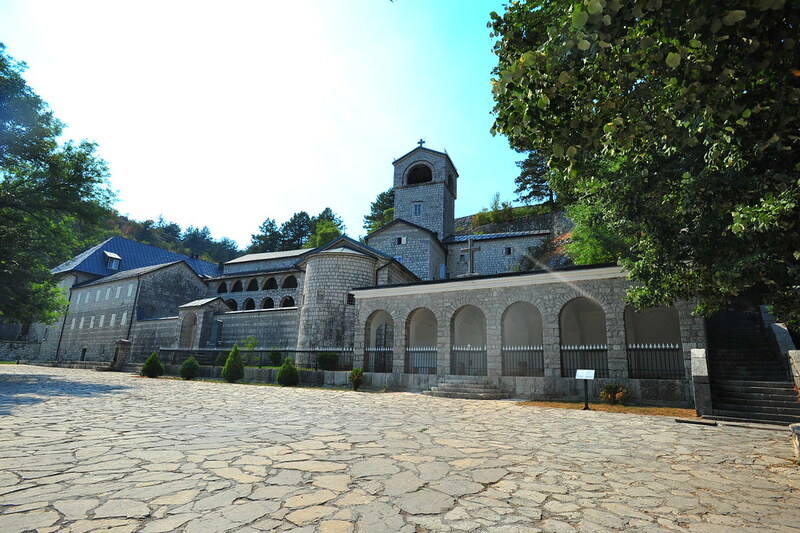 The mausoleum inters Petar II Petrović Njegoš, who was a philosopher, a poet, and the beloved Prince-Bishop of Montenegro. 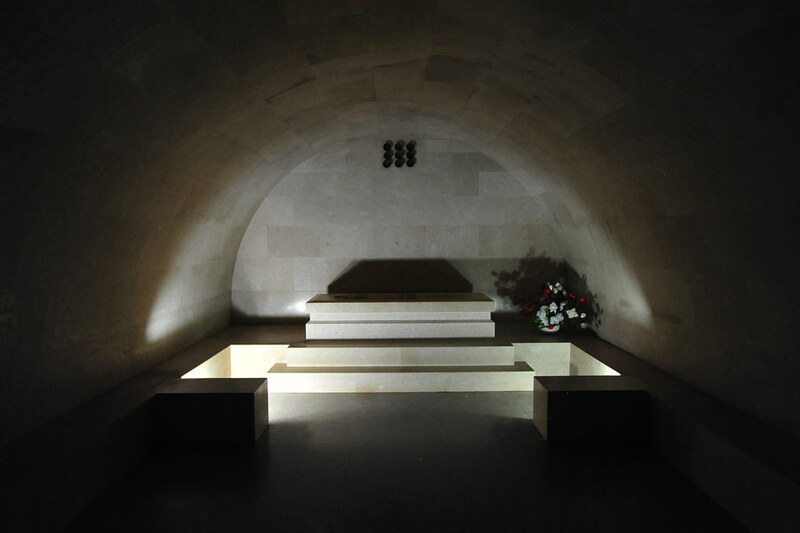 When Njegoš died in 1851, the original chapel in which he was buried was nearly destroyed during a war so his body was decidedly moved by then Yugoslavian President Tito. 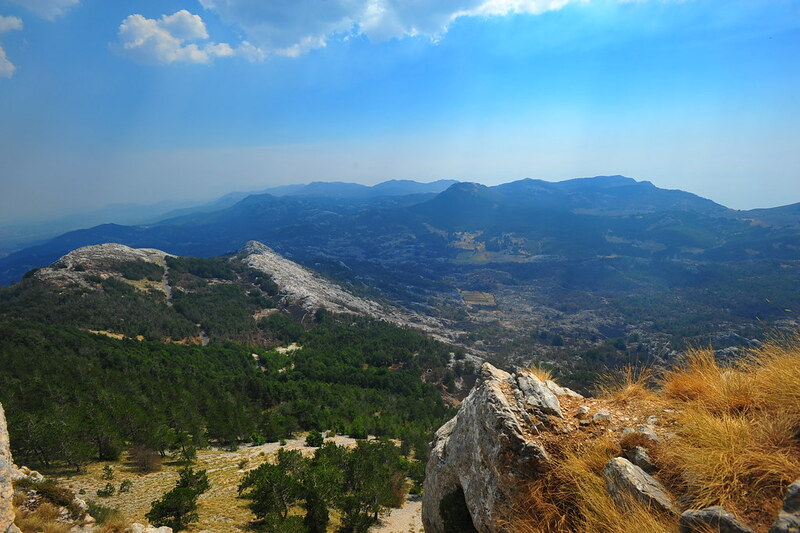 It now resides ontop of one of Mount Lovćen’s two peaks. 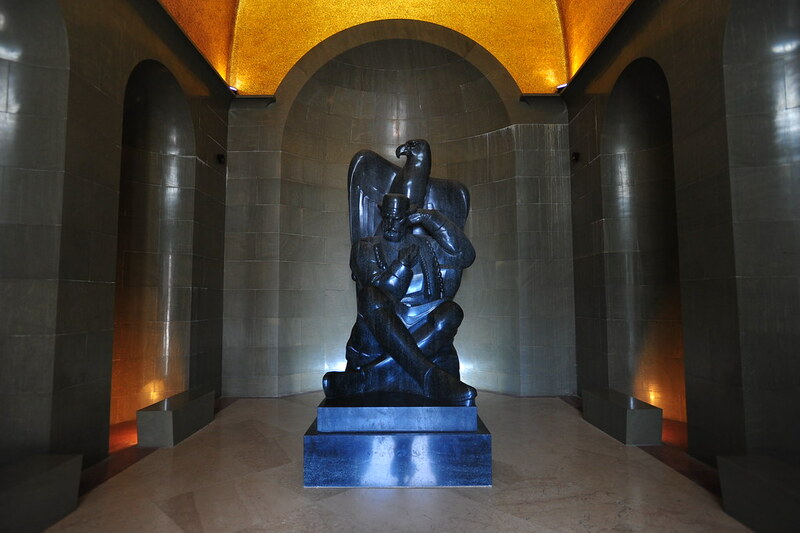 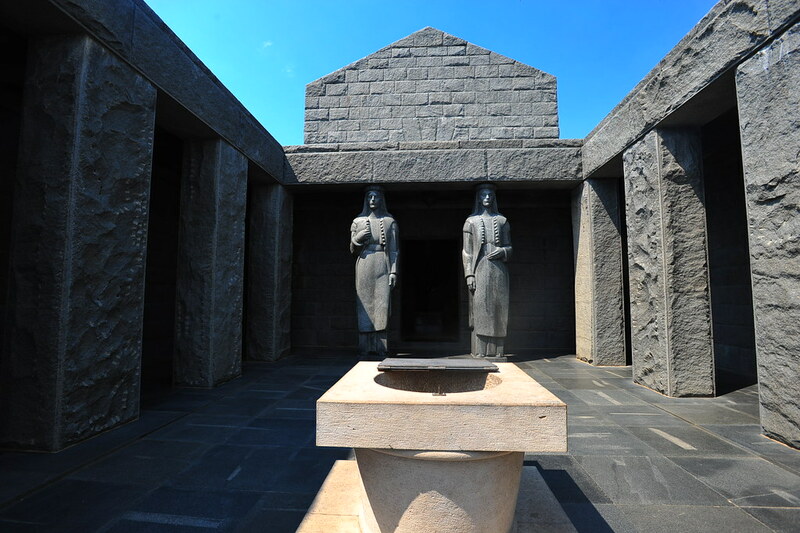 Inside the mausoleum is a large statue of Njegoš, a lower crypt that contains his tomb, and a few viewpoints. 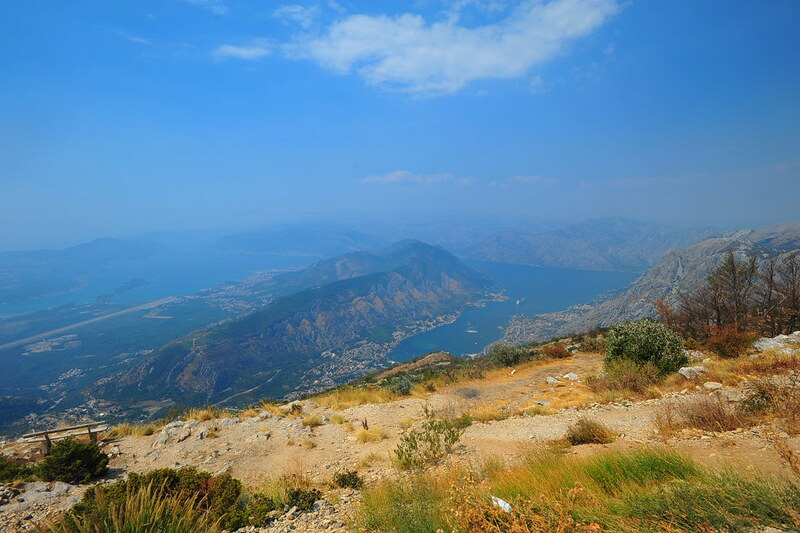 After about an hour here climbing up, taking in the views, and climbing back down, we drove an hour more to Centije, the old royal and historic capital of Montenegro. 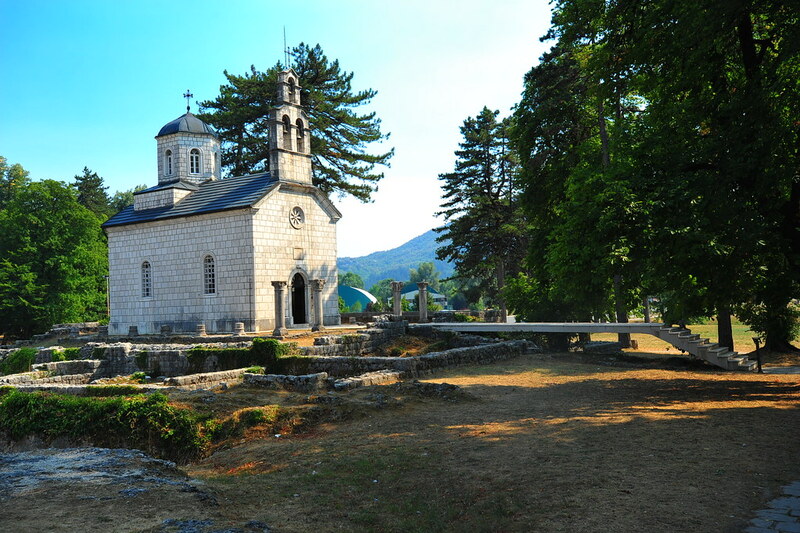 Across from it is Vlaška Church, where the 17th-century military commander Bajo Pivljanin and his wife are buried beneath. 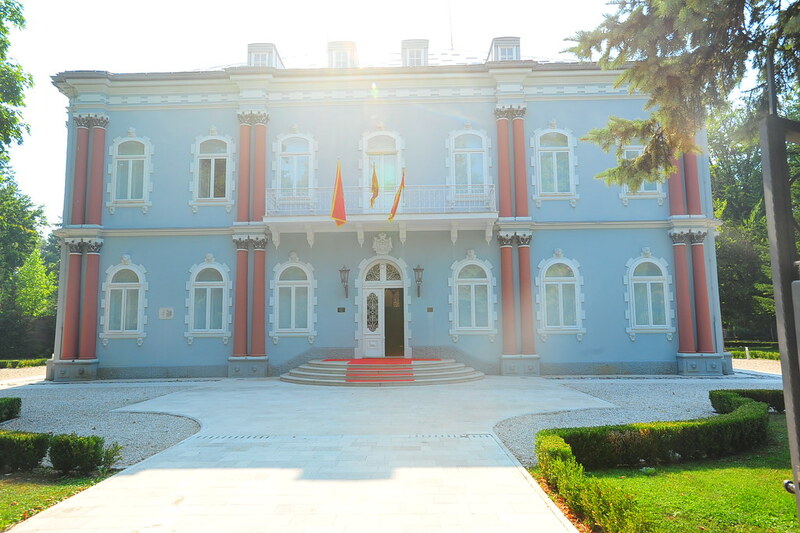 We then took a one hour stroll through town, visiting a few former embassies-turned-museums and the current residence of the President of Montenegro. 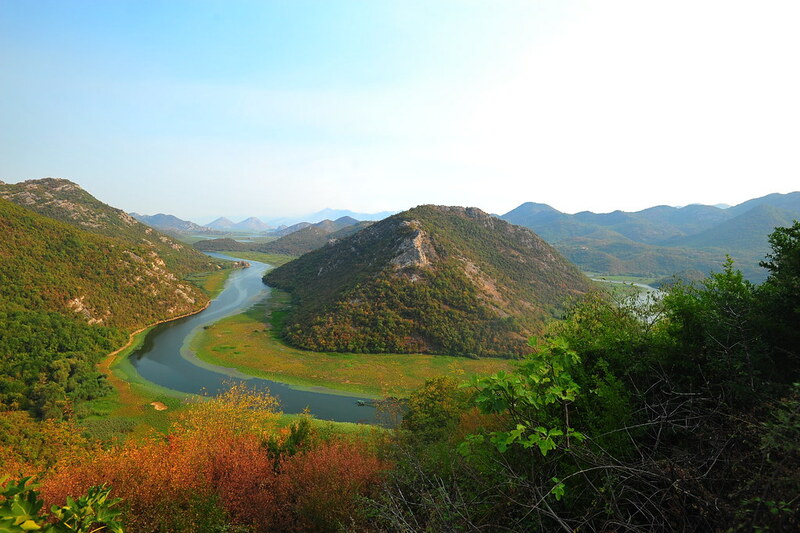 Finally, wedrove to our last stop at Lake Skadar, first seeing the river that feeds into the lake. 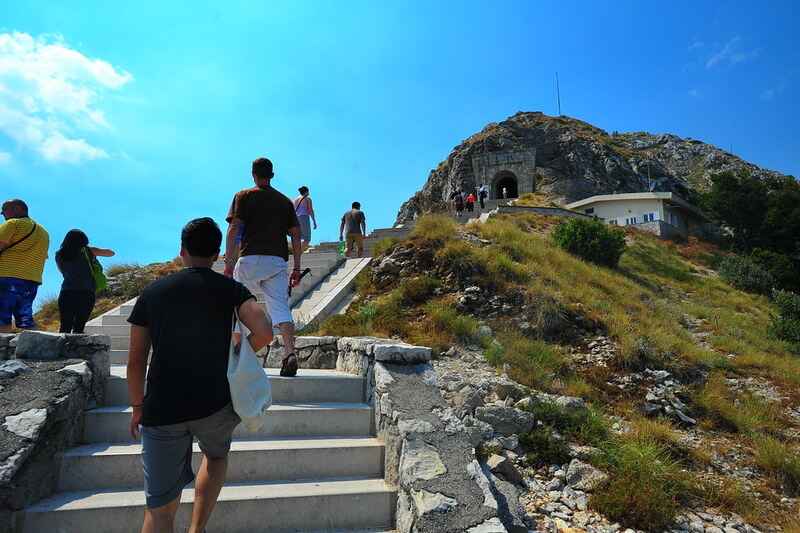 And from there we finished our tour by arriving in Podgorica, the current capital of Montenegro, at 5:30pm.